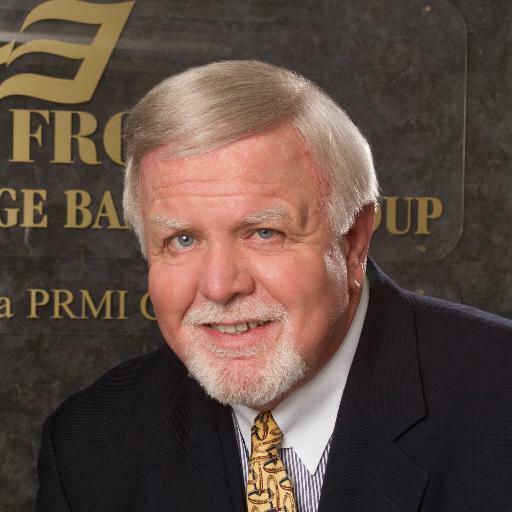 We were very fortunate to have had the opportunity to interview Mr. Greg Frost, Sr., Owner and President of Frost Mortgage. Frost Mortgage has been a most generous and very loyal supporter of Meals on Wheels for many years, and we thought you might want to get to know the “person behind the logo” that appears on many of our fundraising event materials. Mr. Frost’s family were original settlers to this state, migrating from Spain to reside in Santa Fe, New Mexico. Greg was born in Northern California and raised in El Monte, a small blue-collar town next to East Los Angeles. Meals on Wheels: What was your family like growing up? Mr. Frost: Work, work, and more work. My mom was always buying and selling houses that needed refurbishment. School during the week and painting houses and cleaning up yards was our activity every weekend. We are a Hispanic family so there were many family gatherings on Sunday afternoons. Meals on Wheels: Mr. Frost, were you always interested in real estate? Mr. Frost: My mother was a realtor since 1955. She was the first woman president of the San Gabriel Valley Board of Realtors. My brother and I sat in the back seat of her car doing our homework when she needed to show a house in the late afternoon or early evening. Meals on Wheels: Did you go into real estate straight from school, or did you have other careers in between graduation and becoming a realtor? Mr. Frost: I went to work at American Savings & Loan right out of college as a management trainee. Five years later, I was offered the position of President and CEO of De Vargas Savings and Loan. I was the youngest ever in the history of the Federal Home Loan Bank Board, and I’ve been in mortgage lending since 1972. Meals on Wheels: It seems as if Frost Mortgage has expanded to other areas in the U.S. How did you go about growing your company on a national scale? Mr. Frost: It’s all about finding the right people. I’ve been in the mortgage business for over 40 years and traveled and trained countless mortgage professionals. I draw on national relationships to identify potential Branch Partners. Meals on Wheels: Mr. Frost, what are you most proud of in your life? Mr. Frost: I’m most proud of the lives I have touched for over 40 years, both personally and professionally. I’ve been lucky and have always had a platform, whether it be helping people buy a home or helping mortgage professionals grow their business via my training. I’ve been in a position to help people and have tried hard to be a positive influence. Meals on Wheels: There are so many worthy foundations and organizations in our city. Why have you been particularly interested in supporting Meals on Wheels of Albuquerque? Mr. Frost: Their mission touches my heart. What better thing can one do than feed the hungry, homebound, and elderly? Meals on Wheels of Albuquerque is honored by and grateful for Mr. Greg Frost, Sr. and Frost Mortgage’s support!